Off-the-shelf drones have brought what was previously complex and expensive technology into the reach of consumers, and the military was curious to see how much of a threat that might pose. 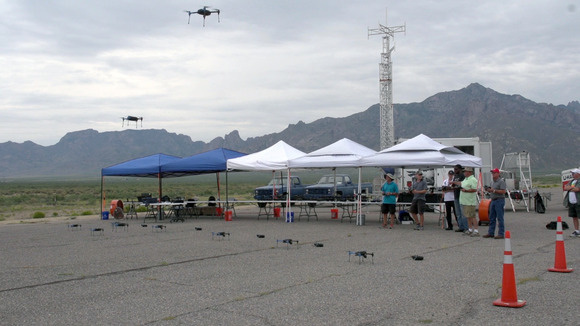 So it brought consumer quadcopters and octocopters to the Network Integration Evaluation war games that concluded earlier this month at White Sands Missile Range, New Mexico, and Fort Bliss, Texas. During the exercise, which is used by the Army to help evaluate new technology, the drones were deployed as a swarm to simulate a threat. Later, the Army expanded the trials to discover whether it might be able to make use of the same technology. The findings could hasten development by the U.S. military of defensive systems to guard against consumer drones deployed against its forces and modifications to drones so that they may be used against foes. Drones take flight during an exercise at White Sands Missile Range in New Mexico on Sept. 3, 2015. 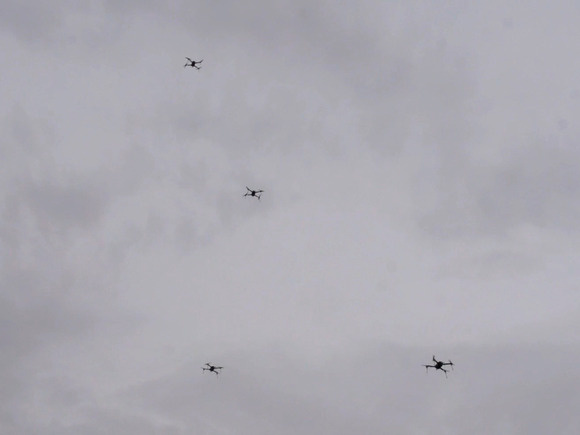 In one exercise, for example, a swarm of drones with cameras on board was deployed in support of opposing forces in an attempt to discover the defensive positions of friendly soldiers. The Army also tested flooding a chunk of airspace with a drone swarm to generate a disruptive radar signature. "It has been proved that consumer [drones] can be used for intelligence, surveillance and reconnaissance, distraction tactics and, in the future, the ability to drop small munitions," said Barry Hatchett with the Army's Program Executive Office for Simulation, Training and Instrumentation. On its own, a consumer drone doesn't pose a huge threat or offer much in the way of an advantage on the battlefield. It's range is limited, it can't lift much, it isn't defended against radio jamming and can be easily brought down with a shot from a rifle. A military drone,like the RQ-16 T-Hawk, costs hundreds of thousands of dollars -- putting them well out of the reach of most people. The RQ-16A T-Hawk, seen here in Afghanistan in 2011, costs hundreds of thousands of dollars. But for a fraction of that price, a handful of consumer drones can be deployed simultaneously. When that happens, they become more viable as a weapon. And unlike complicated military drones, almost no training is required to use consumer models because software takes away most of the complexity of flying. Their low cost and relatively low sophistication also gives them an element of disposability, allowing them to be deployed with less worry about their potential loss. The Army is worried that a swarm of small drones could easily overwhelm a small defensive position because they would represent too many targets moving too fast to successfully repel. Drones fly above White Sands Missile Range in New Mexico during an exercise on Sept. 3, 2015. That was confirmed during the exercise, but the Army also tested how it might be able to modify the drones for its use. So the trials also examined how the range or flight time of consumer drones might be improved, how they might be used with night-vision cameras and how they can be modified to drop small bombs. 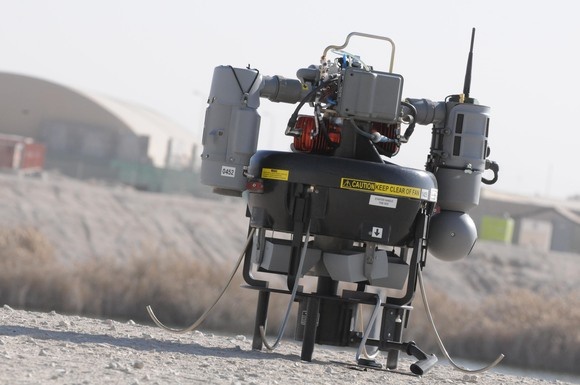 Drones have proved remarkably capable of flying through existing defenses around high-security buildings. Consumer drones have crashed on both the White House lawn and the roof of the Japanese Prime Minister's office, have flown contraband into prison yards and buzzed London monuments and major soccer matches. As they become more popular, some companies have already developed commercial drone detection systems that can spot drones but don't have the ability to shoot them down. Their use on the battlefield raises the stakes in the push to detect, spot and control drone flight. "This is a first step toward a continuing saga, trying to stay ahead of the bad guys," said Hatchett. "We have much to do but we are now out of the blocks and moving forward."